Spiders could eat every single adult human on Earth and still have room for children-sized dessert. Ian Waldie/Getty ImagesA Redback Spider at the Australian Reptile Park in Sydney, Australia. 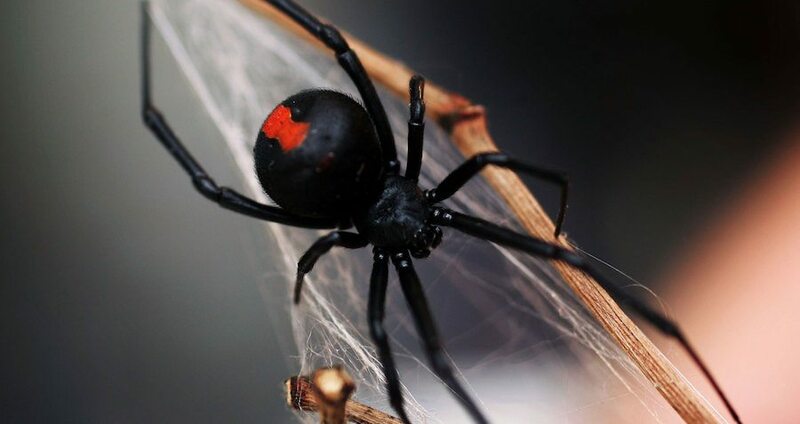 The Redback, probably Australia’s best-known deadly spider is found all over Australia and is a close relative of the Black Widow Spider from the United States. Researchers have recently deduced the answer to a question nobody wanted answered: How much food do spiders consume in a year? Publishing their findings in the scientific journal Science of Nature this past month, two European biologists by the name of Martin Nyffeler and Klaus Birkhofer have concluded that spiders eat roughly anywhere between 400 million to 800 million tons of prey in a single year. For comparison, 7 billion humans consume approximately 400 million tons of meat and fish per year, according to The Washington Post. And the truly terrifying part? The combined weight of all adult humans is 287 million tons. Meaning, the world’s spiders could theoretically eat all of humanity in less than a year and still be hungry for dessert. The Washington Post reports that children probably account for an additional 70 million tons or so, but that’s still just a snack for spiders. When you take into account the spiders’ comparatively diminutive size, the aforementioned figures become all the more impressive (or terrifying). Indeed, Nyffler and Birkhofer deduced that spiders combined weigh roughly 25 million tons. That’s equivalent to the weight of 30 Golden Gate Bridges. Taking the math even further, that means that each of those spiders eats roughly 10 percent of their body weight per day, according to The Washington Post. To help translate that figure into more human-centric terms, that’s like a 200 pound man eating 20 pounds of raw meat each and every single day of his life.